The United Methodist Church understands itself to be part of the holy catholic (or universal) church and it recognizes the historic ecumenical creeds,[ the Apostle's Creed and the Nicene Creed; which are used frequently in services of worship. The Book of Discipline also recognizes the importance of the Chalcedonian Creed of the Council of Chalcedon. It upholds the concept of the "visible and invisible Church," meaning that all who are truly believers in every age belong to the holy Church invisible, while the United Methodist Church is a branch of the Church visible, to which all believers must be connected as it is the only institution wherein the Word of God is preached and the Sacraments are administered. Some argue that The United Methodist Church can lay a claim on apostolic succession, as understood in the traditional sense. As a result of the American Revolution, John Wesley was compelled in 1784 to break with standard practice and ordain two of his lay preachers as presbyters, Thomas Vasey and Richard Whatcoat. Dr. Thomas Coke, already an Anglican priest, assisted Wesley in this action. Coke was then "set apart" as a superintendent (bishop) by Wesley and dispatched with Vasey and Whatcoat to America to take charge of Methodist activities there. In defense of his action to ordain, Wesley himself cited an ancient opinion from the Church of Alexandria, which held that bishops and presbyters constituted one order and therefore, bishops are to be elected from and by the presbyterate. He knew that for two centuries the succession of bishops in the Church of Alexandria was preserved through ordination by presbyters alone and was considered valid by the ancient church. Methodists today who would argue for apostolic succession would do so on these grounds. John Wesley's Explanatory Notes on the New Testament. These Doctrinal Standards are constitutionally protected and nearly impossible to change or remove. The founder of the Methodist Church, the Rev. John Wesley recognized none as Methodists who did not recognize the named Standards of Doctrine. Other doctrines of the United Methodist Church are found in the Book of Discipline of the United Methodist Church. Triune God. God is one God in three persons: Father, Son and Holy Spirit. Scripture. The writings in the Old Testament and New Testament are the inspired word of God. Sin. While human beings were intended to bear the image of God, all humans are sinners for whom that image is distorted. Sin estranges people from God and corrupts human nature such that we cannot heal or save ourselves. Salvation through Jesus Christ. God's redeeming love is active to save sinners through Jesus' incarnate life and teachings, through his atoning death, his resurrection, his sovereign presence through history, and his promised return. Sanctification. The grace of sanctification draws one toward the gift of Christian perfection, which Wesley described as a heart "habitually filled with the love of God and neighbor" and as "having the mind of Christ and walking as he walked." Sacraments. The UMC recognizes two sacraments: Holy Baptism and Holy Communion. Other rites such as Confirmation, Ordination, Holy Matrimony, Funerals, and Anointing of the Sick are performed but are not considered sacraments. In Holy Baptism, the Church believes that "Baptism is not only a sign of profession and mark of difference whereby Christians are distinguished from others that are not baptized; but it is also a sign of regeneration or the new birth. It believes that Baptism is a sacrament in which God initiates a covenant with individuals, people become a part of the Church, is not to be repeated, and is a means of grace. The United Methodist Church generally practices Baptism by sprinkling, pouring, or immersion and recognizes Trinitarian formula baptisms from other Christian denominations. The United Methodist Church affirms the real presence of Christ in Holy Communion, but does not hold to transubstantiation. The church believes that the bread is an effectual sign of His body crucified on the cross and the cup is an effectual sign of His blood shed for humanity. Through the outward and visible signs of bread and wine, the inward and spiritual reality of the Body and Blood of Christ are offered to believers. The church holds that the celebration of the Eucharist is an anamnesis of Jesus' death, and believes the sacrament to be a means of grace, and practices open communion. Social Justice. The church opposes evils such as slavery, inhumane prison conditions, capital punishment, economic injustice, child labor, racism, and inequality. Grace. The UMC believes that God gives unmerited favor freely to all people, though it may be resisted. Prevenient grace, or the grace that "goes before" us, is given to all people. It is that power which enables us to love and motivates us to seek a relationship with God through Jesus Christ. This grace is the present work of God to turn us from our sin-corrupted human will to the loving will of the Father. In this work, God desires that we might sense both our sinfulness before God and God's offer of salvation. Prevenient grace allows those tainted by sin to nevertheless make a truly free choice to accept or reject God's salvation in Christ. Justifying Grace or Accepting Grace is that grace, offered by God to all people, that we receive by faith and trust in Christ, through which God pardons the believer of sin. It is in justifying grace we are received by God, in spite of our sin. In this reception, we are forgiven through the atoning work of Jesus Christ on the cross. The justifying grace cancels our guilt and empowers us to resist the power of sin and to fully love God and neighbor. Today, justifying grace is also known as conversion, "accepting Jesus as your personal Lord and Savior," or being "born again". John Wesley originally called this experience the New Birth. This experience can occur in different ways; it can be one transforming moment, such as an altar call experience, or it may involve a series of decisions across a period of time. Sanctifying Grace is that grace of God which sustains the believers in the journey toward Christian Perfection: a genuine love of God with heart, soul, mind, and strength, and a genuine love of our neighbors as ourselves. Sanctifying grace enables us to respond to God by leading a Spirit-filled and Christ-like life aimed toward love. Wesley never claimed this state of perfection for himself but instead insisted the attainment of perfection was possible for all Christians. Here the English Reformer parted company with both Luther and Calvin, who denied that a man would ever reach a state in this life in which he could not fall into sin. Such a man can lose all inclination to evil and can gain perfection in this life. According to Wesleyan understanding, good works were the fruit of one's salvation, not the way in which that salvation was earned. Faith and good works go hand in hand in Methodist theology: a living tree naturally and inevitably bears fruit. Wesleyan theology rejects the doctrine of eternal security, believing that salvation can be rejected. Wesley emphasized that believers must continue to grow in their relationship with Christ, through the process of Sanctification. Wesleyan theology stands at a unique cross-roads between evangelical and sacramental, between liturgical and charismatic, and between Anglo-Catholic and Reformed theology and practice. It has been characterized as Arminian theology with an emphasis on the work of the Holy Spirit to bring holiness into the life of the participating believer. The United Methodist Church believes in prima scriptura, seeing the Holy Bible as the primary authority in the Church and using sacred tradition, reason, and experience to interpret it, with the aid of the Holy Spirit (see Wesleyan Quadrilateral). Therefore, according to The Book of Discipline, United Methodist theology is at once "catholic, evangelical, and reformed." 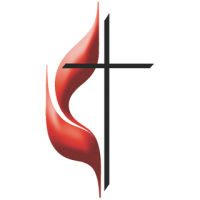 Today, the UMC is generally considered one of the more moderate and tolerant denominations with respect to race, gender, and ideology, though the denomination itself actually includes a very wide spectrum of attitudes. Comparatively, the UMC stands to the right of liberal and progressive Protestant groups such as the United Church of Christ and the Episcopal Church on certain issues (especially regarding sexuality), but to the left of historically conservative evangelical traditions such as the Southern Baptists and Pentecostalism, in regard to theological matters such as social justice and Biblical interpretation. However, it should be noted that the UMC is made up of a broad diversity of thought, and so there are many clergy and laity within the UMC that hold differing viewpoints on such theological matters. The United Methodist Church allows for a wide range of theological and political beliefs. For example, former President George W. Bush and Laura Bush are United Methodists, as are Senator Elizabeth Warren, and presidential candidate Hillary Clinton and former Senator Max Cleland. Many practicing United Methodists believe this flexibility is one of the UMC's strongest qualities.